GEM is one of the largest Commissioning Support Units in the country. They currently serve 20 Clinical Commissioning Groups, with a population of around 5 million. 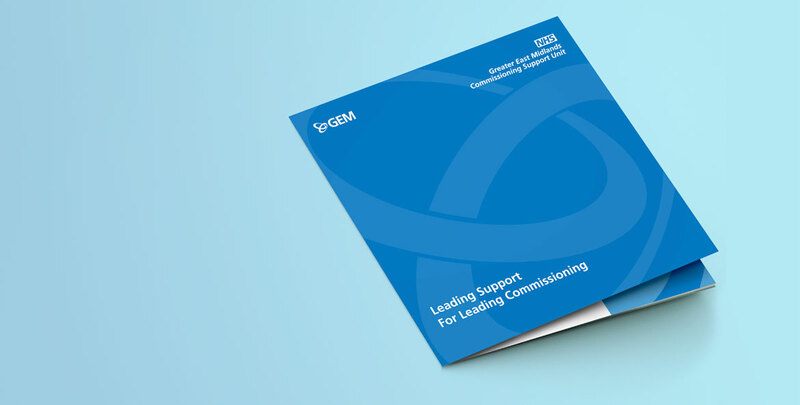 The Greater East Midlands Commissioning Support Unit (GEM) delivers high quality commissioning support that is valued by our customers across the East Midlands and beyond. Their services are built on a strong foundation of experienced people who build great relationships, a commitment to NHS values and a thorough understanding of their commissioners and the challenges they face. 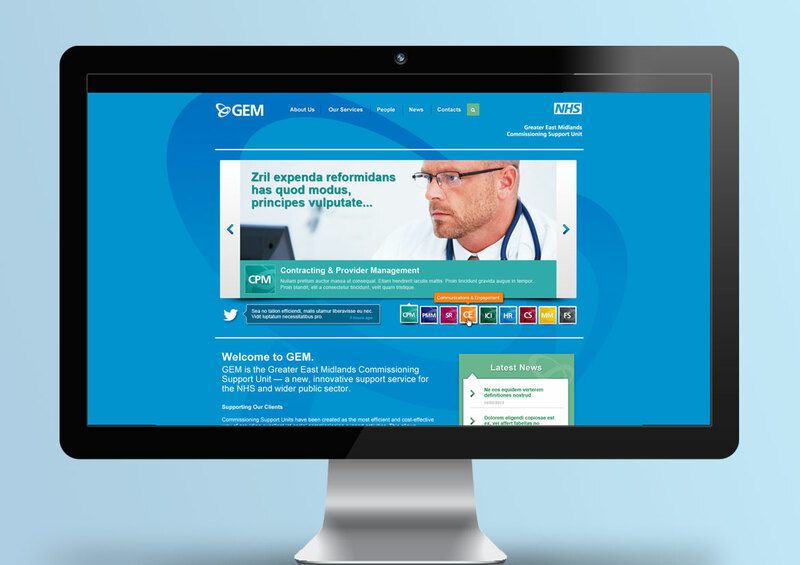 GEM provide real value to their customers by working at scale, creating the synergies and innovation that ultimately drives improved patient outcomes and makes commissioning resources work harder. 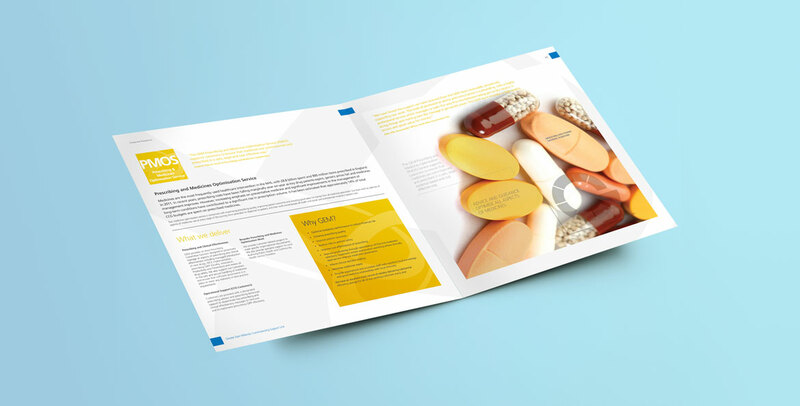 We were charged with developing the GEM brand into working across all marketing collateral to maintain the cornerstones of quality, value, innovation and complete customer focus. GEM came to us with a logo which needed further development and direction. 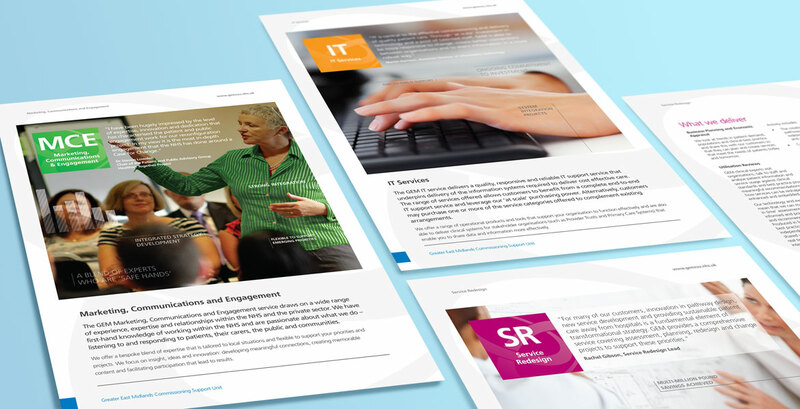 Upon completing the logo we undertook the brand guidelines, a fully comprehensive support tool to the GEM team. 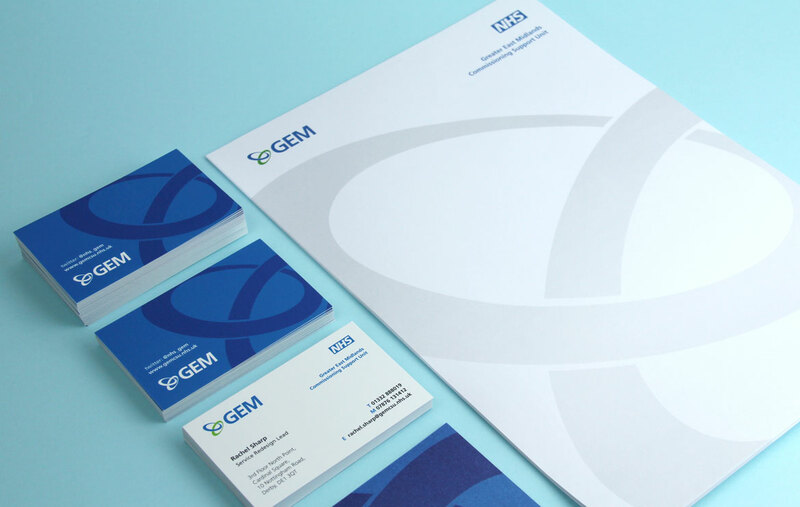 From this we devised many promotional and print collateral and continue to work with GEM in developing their brand assets.